FCMB THE AMBASSADORS SUMMIT. 20 STUDENTS TO WIN SCHOLARSHIP. Would you like to be one of 20 lucky students to get a scholarship from us? 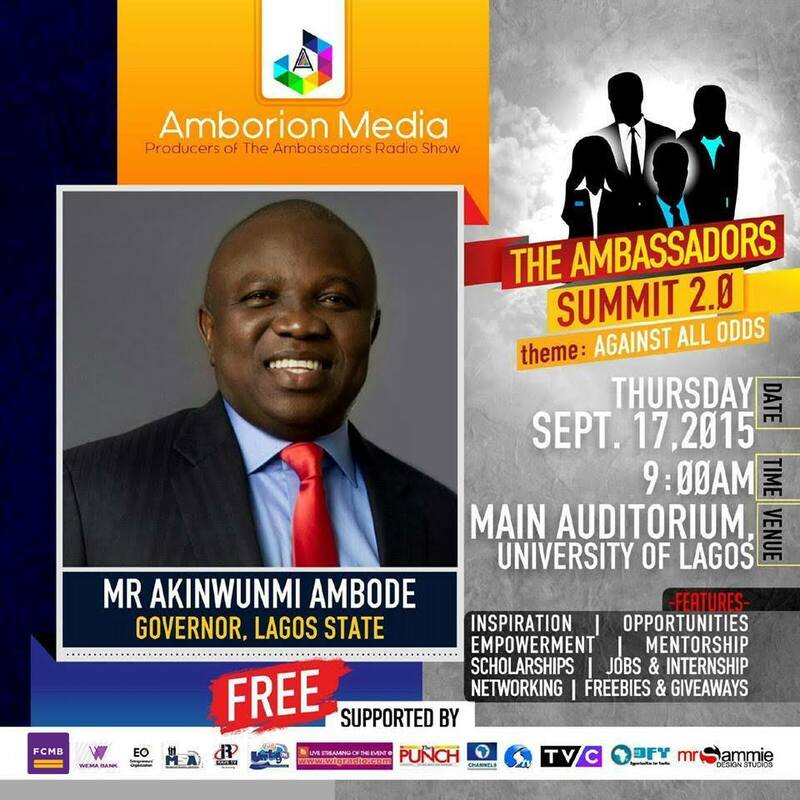 Then join us at The Ambassadors Summit 2.0 "Against all odds". Other benefits include Internship and network opportunities, mentorship and other amazing freebies. Venue: Main Auditorium, University of Lagos.